No matter how you feel about the contributions of American and Canadian workers, you can’t deny the exceptional timing of Labor Day in the more temperate North American countries. School either just started or is starting soon, weather in most places simply demands grilling, and birds are on the wing. What more could you want for a three-day weekend? 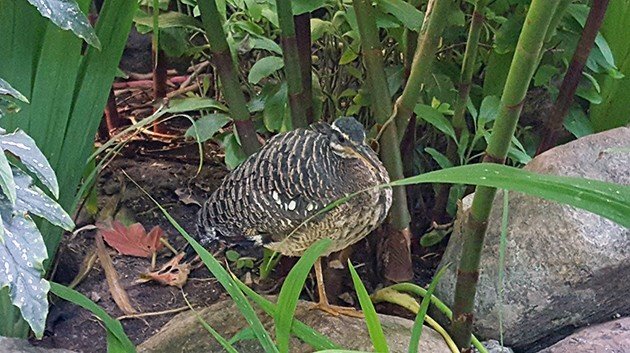 I wish I could count the uncharacteristically confiding Sunbittern at the Toronto Zoo, but that species continues to elude me in its natural range. The consolation prize was spotting Toronto Blue Jays–both the birds and the baseball players–during my first trip to Canada in far too long. 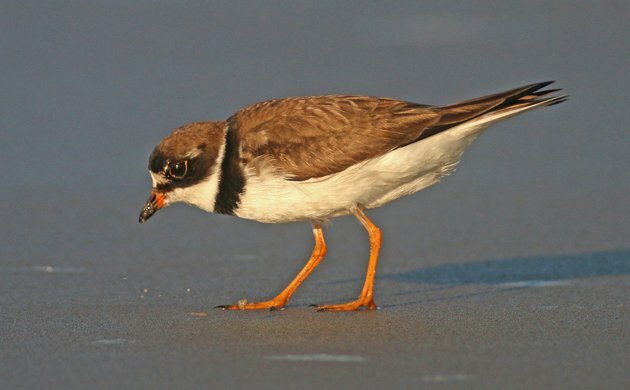 Corey had a pretty big number of birds from which to choose this weekend, but he most appreciated the fearless nature of Semipalmated Plovers that foraged all around him on Sunday morning on Rockaway Beach. Close shorebirds in great light make an easy choice for Best Bird of the Weekend! No special birds for me, but I enjoyed finding a goshawk breastfeather amongst a pile of euro jay feathers in a forest above Heidelberg. We had a very nice outing Saturday to the Heinz NWR near Phil. Got two hard to get birds, a Virgina Rail and a Sora. Patience paid off. Thanks to my dear spouse who got me out of bed to twitch the Sora. Mangrove Rail at Chomes, Costa Rica. Too skulky for clear photos but we got great looks. Saw — and heard — my first-in-Philly Belted Kingfisher (brief looks through trees = not sure about gender) along the upper portion of Wissahickon Creek.